Have you ever fancied having an Olympic sized swimming pool in your garden but are restricted by money and space? Well, now there’s a solution. An Endless Pool is a swimming pool that’s compact in size but that allows you to swim mile after mile without ever reaching the end. 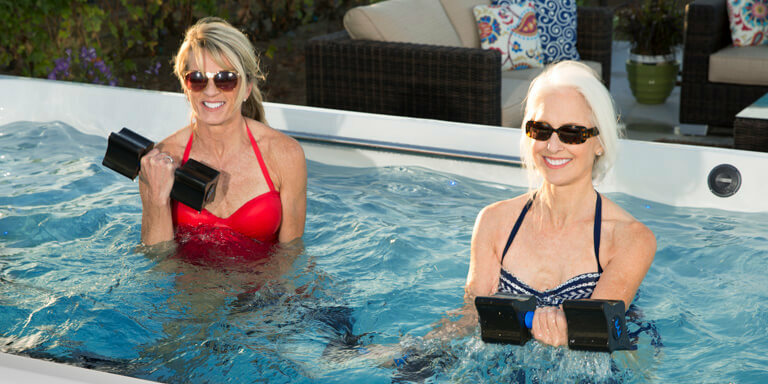 It might sound like magic, but the Endless Pool is an affordable and practical piece of equipment you could soon own yourself. Here’s our guide to everything you could ever wish to know, from Endless Pool running costs to installation options. 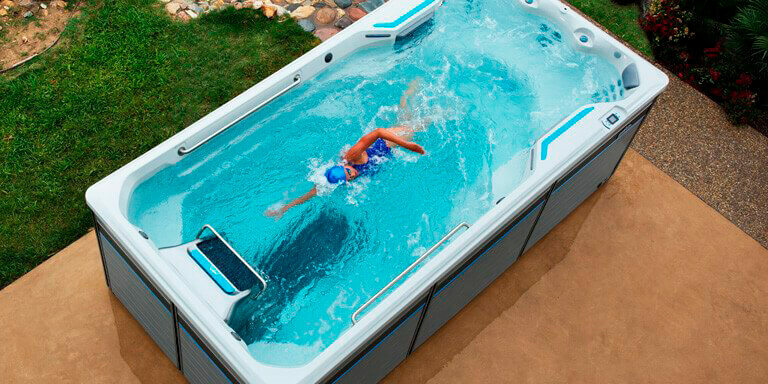 An Endless Pool is a compact, precision engineered swimming pool which allows you to swim against a smooth current that can be adjusted to meet any swimming speed or ability. That means you can swim to your own schedule and at your perfect pace. As you never reach the end of the pool, your workout is not disrupted by regular turns so you can focus on your stroke. There are also no busy swimming lanes to contend with and no one to disturb your peace. What is the cost of an Endless Pool? 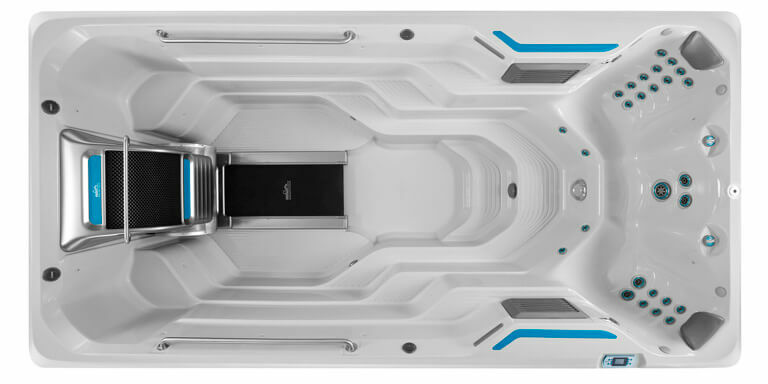 The Recreational R120 Endless Pool model costs £15,999 Inc VAT and is perfect for young families. 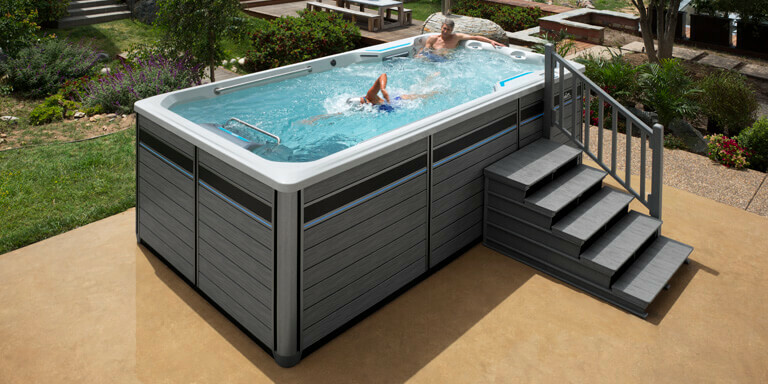 The Endless Pools SwimCross Jetted Range start from £18,995 Inc VAT which is significantly less than standard lap pools. 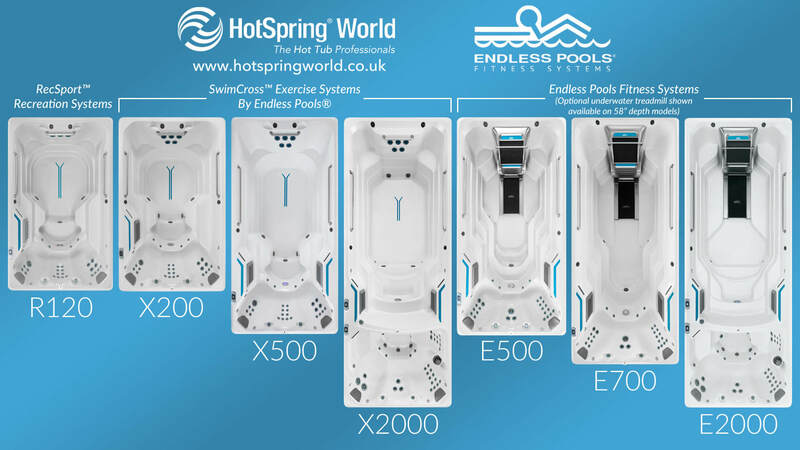 The Endless Pools Fitness Systems Range start from £26,995 Inc VAT, the perfect current swim machine suitable for novice swimmers all the way up to elite professionals. 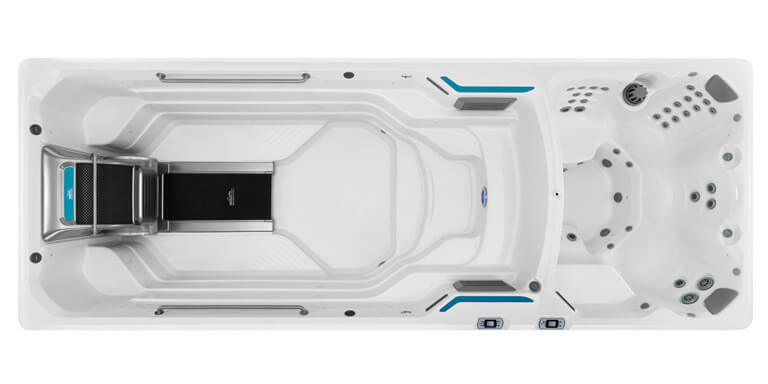 Add a relaxation element to your swim spa with our duel system Endless Pools E2000 & X2000 models. There are a whole range of accessories to enhance your experience and training which can be added to the above ranges. A digitally controlled water heater is included with every fitness system so you can heat the water to your desired temperature. The set temperature range is from 15-40 degrees. The water temperature of any fitness system may rise or lower slightly depending on the current use and condition of the system and outside temperatures. Where can Endless Pools be installed? 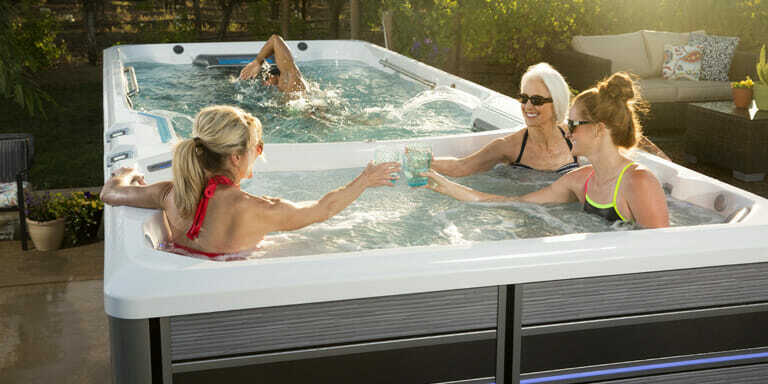 The compact size of Endless Pools means they can be installed pretty much anywhere you like if you have the space and access, such as a conservatory, garage, prefabricated garden building, or of course your garden space. Endless Pools are best enjoyed outside in your garden, having the freedom to swim in your space at your pace. What are the Endless Pool swim spa dimensions? How is the current created? The Magic is in the Machine! 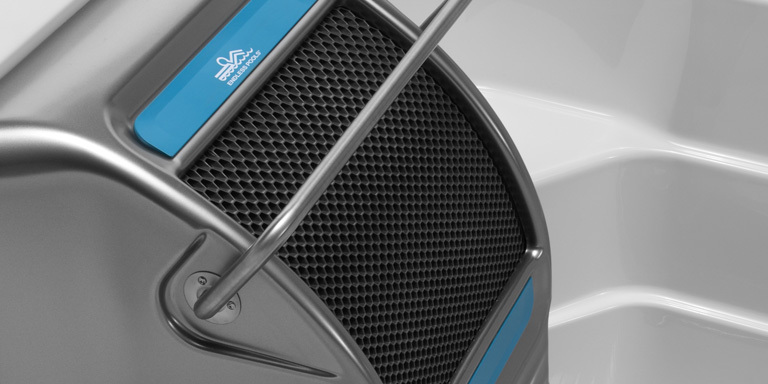 The Endless Pools Swim Machine creates a smooth laminar turbulent-free current. 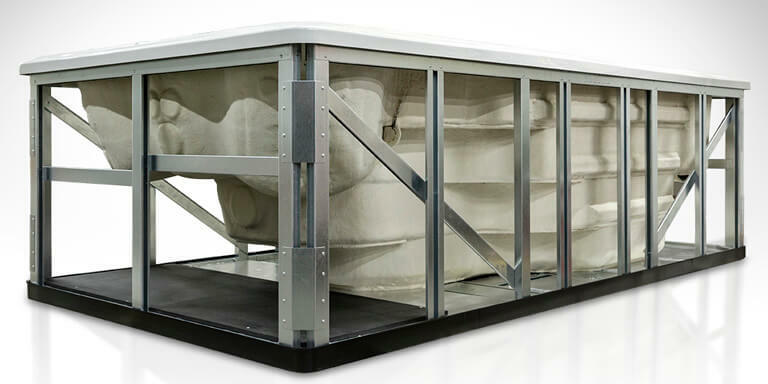 The custom-made hydraulic-powered swim-in-place system moves up to 19,000 litres of water per minute. 52 variable speeds controlled using a push button remote accommodate any swimmer’s skill level or stroke, with a top speed equivalent of swimming 100 metres in under 1:15 minutes and the slowest speed setting 100 metres in 5:30 minutes. Is it suitable for activities other than just swimming? Yes. An Endless pool is also suitable for other water-based workouts such as aqua aerobics and even deep-water running on an aquatic treadmill. Is it also suitable for lazing around? It certainly is. 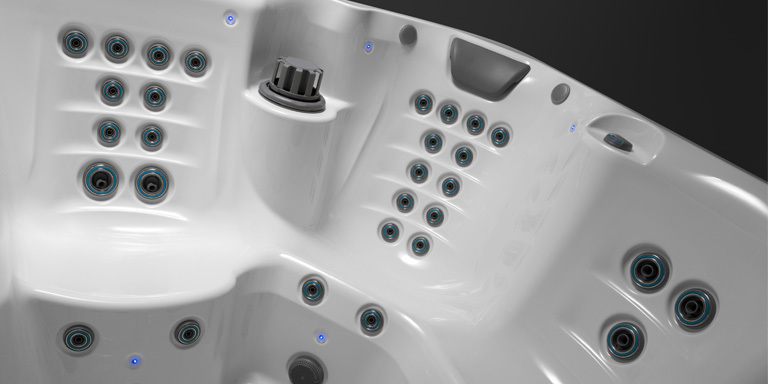 The Endless Pool can be fitted with optional jets and hydrotherapy seating to create your very own spa. Are Endless Pools difficult to maintain? No. Endless Pools actually require much less maintenance than a standard swimming pool. You should test the water regularly adjusting the water-care levels as required and keep filters clean. Where can I read Endless Pool spa reviews? Fancy your own Endless Pool? Take a look at our range of Endless Pools for sale or get in touch using this form to find out more.